Mira likes to stretch when she sleeps, and she has a habit of kicking her blankets off. When I opened my eyes, she was sprawled over half of the air mattress, while Ian and I were squished on the other half, with Ian’s back pressing on the mesh of the playpen. I woke up Ian and asked him to move to the other side where there’s more space. We carefully moved Mira, who was sleeping on top of the comforter, under the covers, between us. I went back to sleep, but not for long. Diane woke up and wanted to chat. She started getting fussy so I brought her to our bed. It was 6:45 AM. The campground was still quiet. We ate the last of our packed food for breakfast. We then packed up our tent and got cleaned up. Around 9 o’clock we hit the road. We needed an early start as we still have quite a lot of driving to do. We quickly hopped out of the van to take a selfie before leaving the campground entirely. Ian stopped at Walmart in West Branch to get some supplies. We ate some bananas on the road and finished our left over chips. The girls went on a squeeze-y-pack-and mum-mum-diet until we were able to stop for food. Just before noon we crossed the famous Mackinac Bridge, an engineering feat on its own. 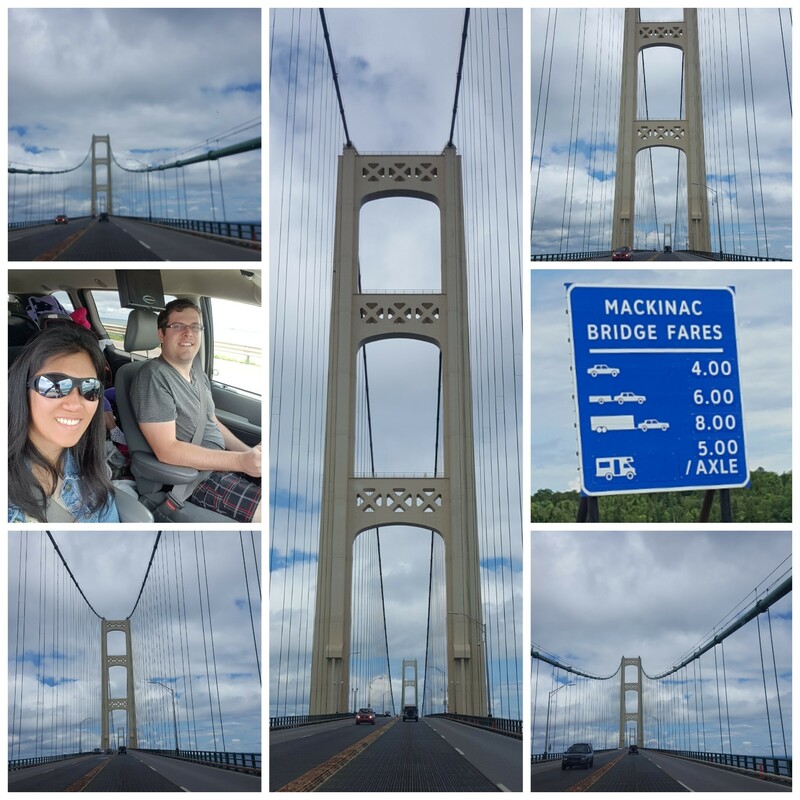 It’s the longest suspension bridge between anchorages in the Western Hemisphere, and connects the city of St. Ignace on the north end with the village of Mackinaw City on the south. 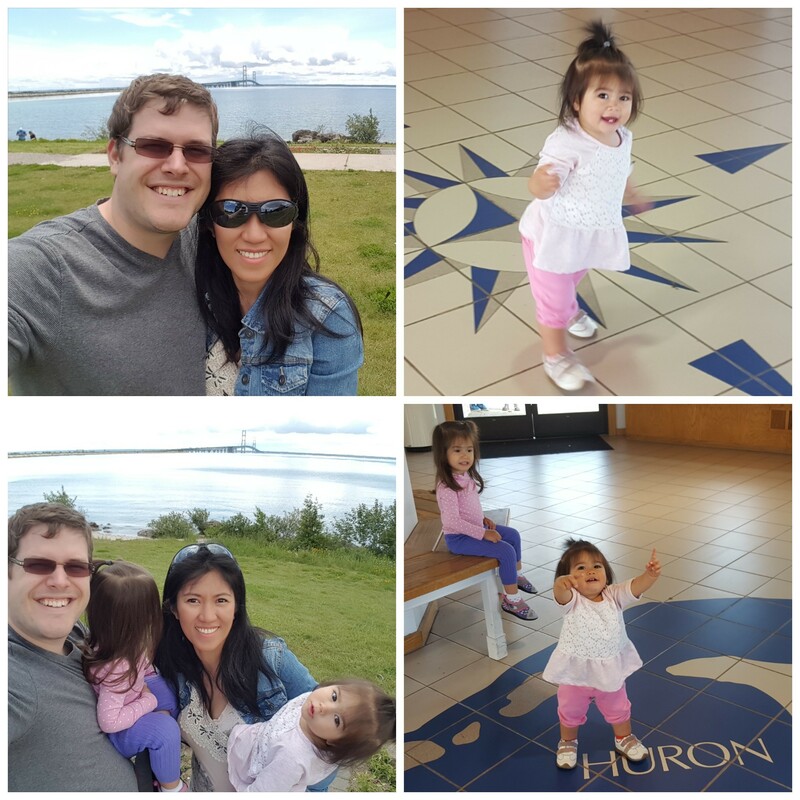 We stopped at the Mackinac Bridge Visitor’s Center to stretch our legs, sight-see, and take some photos. 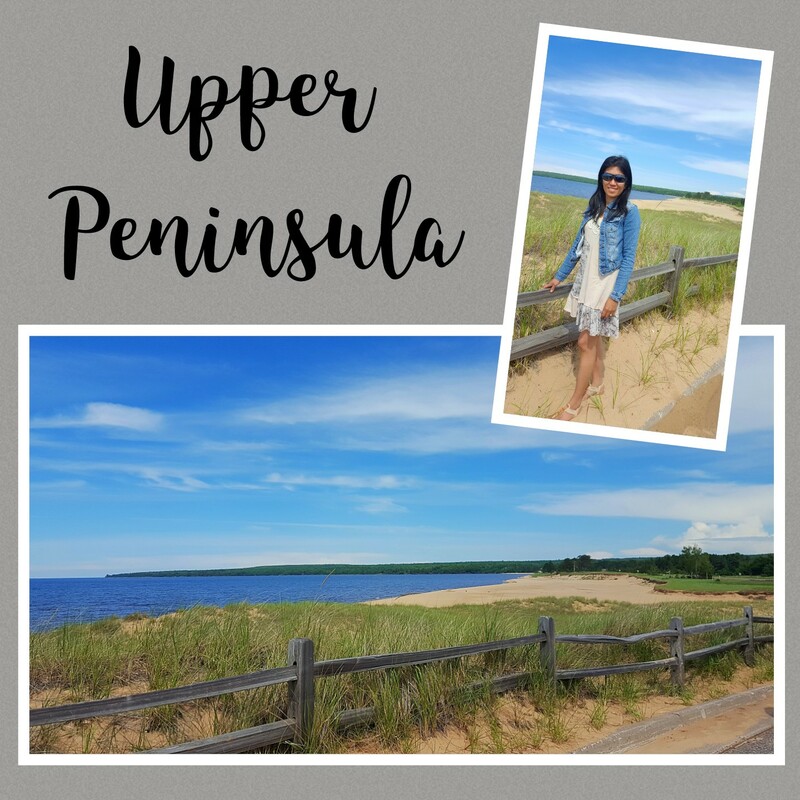 And then we proceeded to Upper Peninsula, where we saw some sandy beaches with clear blue water. Both girls took a nap. The van was finally quiet. Ian and I took advantage of this and listened to our audiobook. We started with Lauren Graham’s Talking as Fast as I Can. Before leaving the Upper Peninsula, we stopped at Subway for supper. Ian and I each ordered a foot long sandwich and shared them with the girls. The guy who prepared Ian’s sandwich came over to our table and gave us 2 chocolate chip cookies for the girls. We gave him a smile. What a nice man I thought to myself. Earlier, I was overhearing his conversation with my husband as he puts the cheese on the Italian herbs and cheese bun. He said it’s his birthday. And he’s thankful he has lived this far. I looked at his face. In my estimation, he’s probably in his late 50s. Definitely still young to be saying such things. He said he got really sick for months and thought that he wouldn’t make it. But he did. And he’s grateful for his recovery. Life is fleeting. Psalm says that man is like a breath; his days are like a passing shadow. I think the sooner we realize this, and really understand what that sentiment means, the more we’ll live our lives with purpose and meaning. I walked out of Subway contemplating about this. We went back on the van and drove again. We saw Wisconsin in passing. The sun was setting and there were beautiful swirls of clouds covering a big portion of the sky. 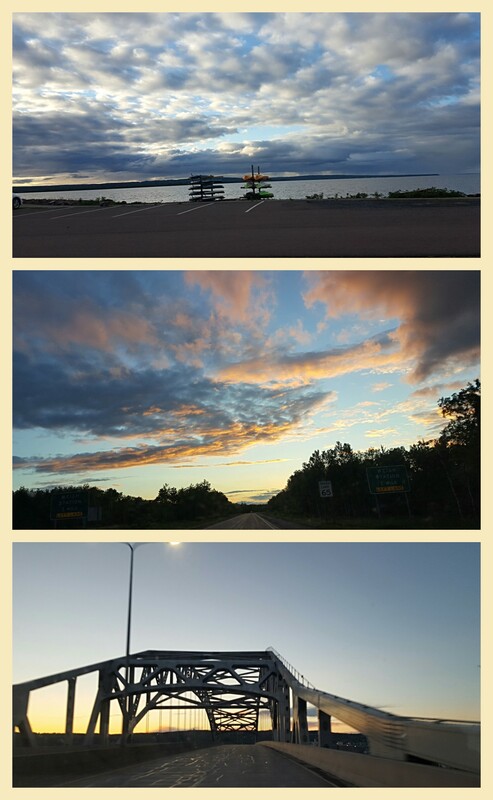 Two hours and a half after, we crossed the Minnesota Bridge. Soon after that, we arrived in our hotel. It was 9:30 in the evening (EST). Duluth Spirit Mountain Inn is located in Westgate Boulevard in Duluth, Minnesota. The inn is sitting on a slight hill. Mira kept saying she wanted to swim when she found out there’s a swimming pool where we would be staying. I wasn’t sure what to expect about the place because Ian booked it online without me. The inn’s interior has a look of a log cabin, or at least maybe that’s what they were trying to do. The dining area facing the reception’s desk was crammed with log tables and chairs. Complimentary breakfast is from 6-9 AM, I heard. There was a sign just before the stairs to head downstairs if there’s no room in the dining area to dine. I wondered why. We headed upstairs to our room when Ian got the keys. There were no elevators in sight. Ian found that cumbersome especially since he had to carry most of our belongings on 4 flights of stairs. Our room was almost at the end of a very long hallway of doors that seemed liked a dungeon. The white stucco walls were the only thing that was bright about the place. The carpet that has a psychedelic print of murky colours, and the dark brown doors made the hallway look narrower. As we entered the room, a sink with a vanity mirror by the door greeted us. I found that odd. On the opposite side of the vanity mirror was the washroom. It had a toilet, a tub with a shower, but had no sink. There was a pungent smell of cigarette smoke lingering in the room, which made us open the window right away. The room had two double beds and a flat screen TV in front of one of the beds. There was a small round dining table with 2 chairs in a corner close to the washroom, right beside the second bed. Facing it was a kitchenette with a sink and counter space that had a coffee machine. We set up the playpen for Diane in between the two beds. When the girls went to sleep, we called it a night. It has been a long day. This marked the end of the fourth day of our trip. 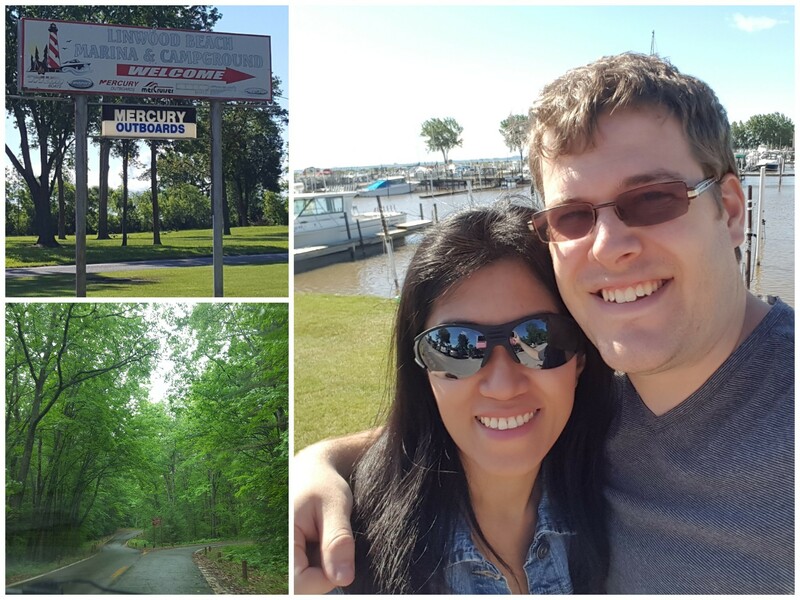 This entry was posted in Journal Entry and tagged adventure, camping, Duluth Spirit Mountain Inn, fun, google maps, journal, Linwood, Mackinac bridge, Michigan, road trip, summer, travel. Bookmark the permalink.